Rushfest! : What happens when the sheriff comes to your dance? 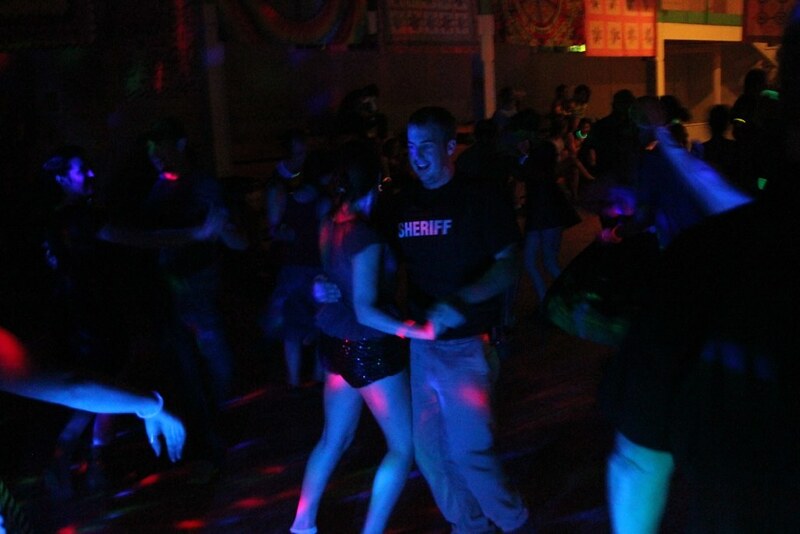 What happens when the sheriff comes to your dance? You invite him to dance, of course! I was getting ready for Rushfest at Cool Mountain Contra when I looked over and there were a bunch of police by the door. My first thoughts were "Oh crap! Someone called the cops because of the noise and we're in TROUBLE and we'll NEVER get to dance here AGAIN!" I raced over to see what was up -- there was a stern looking senior officer type, an intrigued gentleman with "SHERIFF" on his shirt, and several other deputies. "Hey fellows!" (Super casual, as always), "How's it going?" 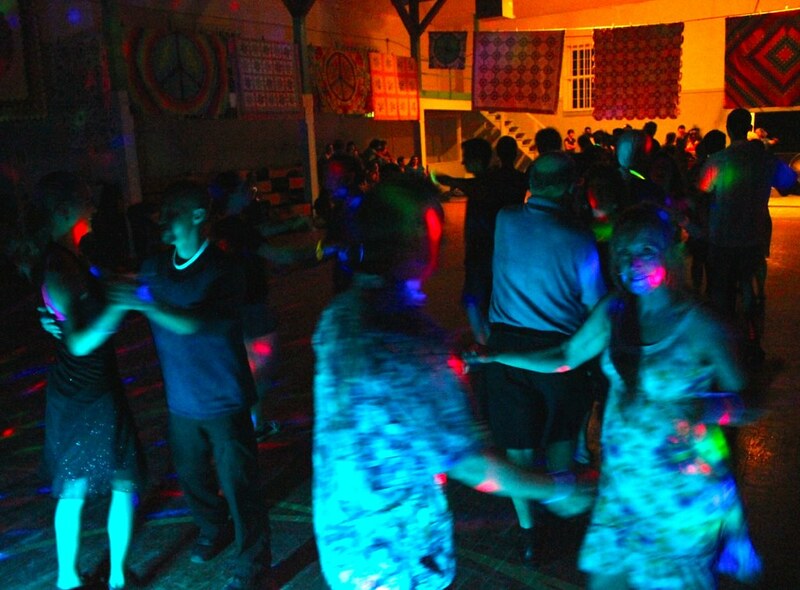 "We saw the signs for a 'contra dance' and decided to check it out." We're not in trouble! Excellent! "Oh! ...Well you should come dance with us!" The stern-looking gentleman gave me a clear NO face, and the sheriff also declined, but looked eagerly over my shoulder. And lo and behold, for the last dance of the evening with Andrew, Noah, and Dana, he was out on the dance floor, flak jacket, gun, and all. I raced over before my set: "But wait, there's more!" And dashed off again. Damned if they didn't stay for Rushfest. Slowly I started to see more unfamiliar gentlemen, some police, and then some wearing shirts that said "Firefighter." Apparently there was nothing going on in Elk Park that Saturday night, and I imagine the radio call was, "You guys have got to see this." Someone counted five police and two state trooper cars in the lot around 1am.